This program will help you to envision the concept of division. Choose a number and make as many division problems as possible from that number. 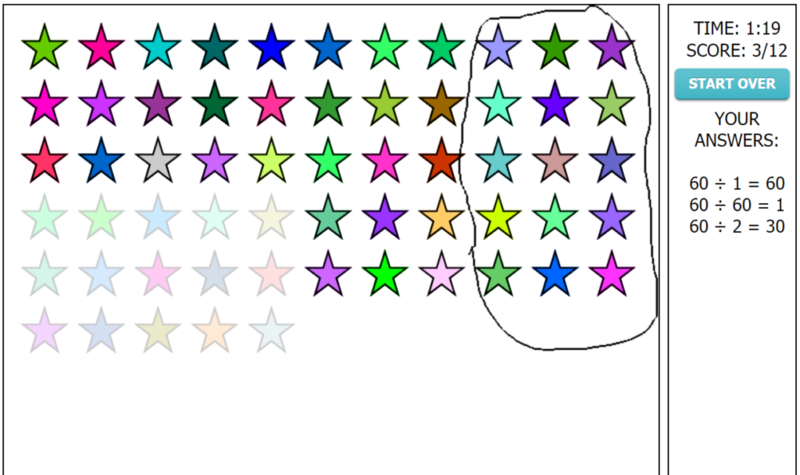 Use the handy draw tool to make groups from stars. 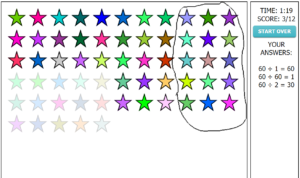 For example, if you were to choose 16, you would see 16 stars on the stage. Simply draw circles around four groups of four stars to make the problem 16 (divided by symbol) 4 = 4. See how long it takes you to divide 16 by as many numbers as possible that divide evenly. Print out your certificate when you are done.